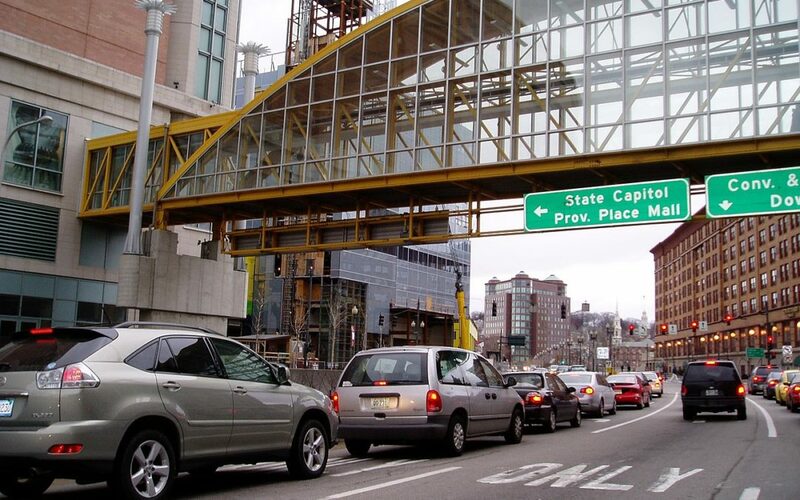 Whether you’re heading to take care of some holiday shopping at small businesses like Calico or Celia’s Boutique in historic downtown New Bedford or hitting Providence Place Mall before catching “A Christmas Carol” at Trinity Rep in downtown Providence, you will likely encounter dreaded holiday traffic full of distracted drivers on busy routes like Route 18, I-195 and Route 24. A distracted driving car accident will not only ruin the holidays for you and your family, but can leave the victim(s) suffering from painful whiplash type injury, life-changing catastrophic personal injury or even accidental death. Be aware of these common types of bad driving habits to help to avoid car accidents and auto-pedestrian accidents this 2018 holiday season. 1. Distracted Driving – Distracted drivers are the number one cause of motor vehicle accidents during the holiday season. A distracted driver will multitask while behind the wheel, trying to save time by texting to make plans, searching for sales and store hours, or trying to finish up tasks for work or home while on the go. This distracted behavior can result in anything from a fender bender to a more serious t-bone or head on collision. 2. Impaired Driving – Holiday dinners, parties and celebrations typically involve consumption of alcohol. An increase in the number of car accidents caused by drunk drivers during the winter holidays has been well-documented by law enforcement, and the loss of life resulting from impaired driving is well-established. Driving under the influence of marijuana and prescription medications can also cause driver impairment. Always designate a sober driver or use a taxi service, Uber or Lyft to travel to and from your holiday parties. 3. Aggressive Driving – The holidays can bring increased pressures, the stress created by trying to do too much in a short time span. Drivers often react to these pressures by driving too fast for conditions, making aggressive lane changes, failing to yield right-of-way, and generally disregarding the needs and safety of others using the road. 4. Drowsy Driving – Increased demands and activities during the winter holidays often mean significantly reduced sleep schedules. According to a study by the AAA Foundation for Traffic Safety, people who slept 6-7 hours a night were twice as likely to be involved in a crash as those sleeping 8 hours or more, while people sleeping less than 5 hours increased their risk four to five times. The key to avoiding distracted driving is to make driving your first priority. Those other tasks can wait. Try to plan accordingly, leaving enough time to manage your affairs while you’re NOT behind the wheel! Drive safely out there to help assure that you and the people you share the road with have a safe and happy holiday season.